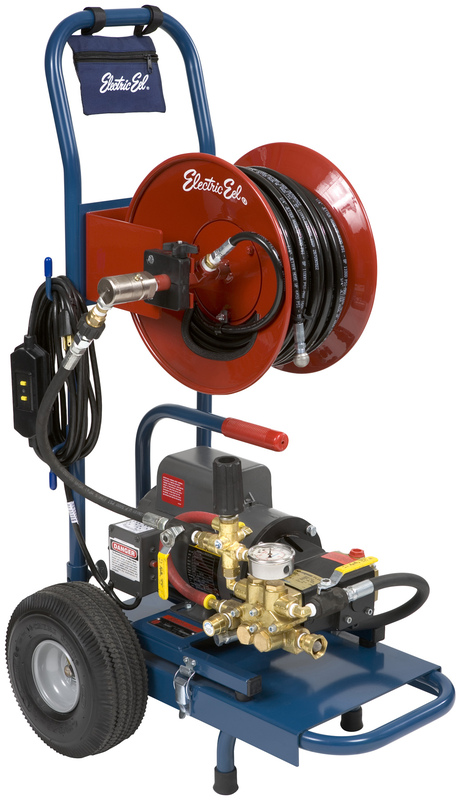 EEL JET portable high pressure water jetters are professionally engineered to clean 2″ – 8″ drain lines up to 300 Ft. Gasoline and Electric powered models are available. Ideal for a variety of stoppages such as grease and sand. 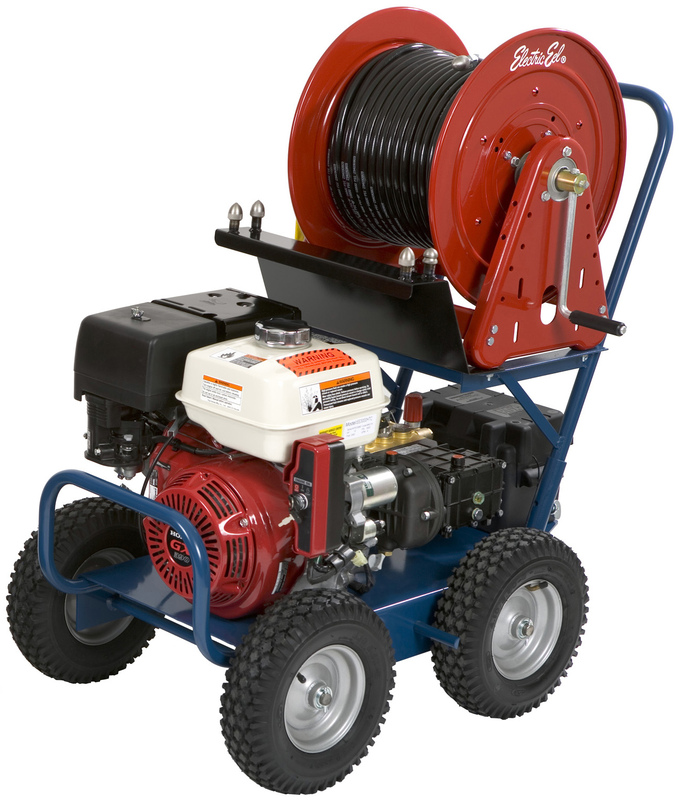 Features include an optional electric start engine, removable hose reels, duplex pumps and gear reduced triplex pumps. Units are available in 1500 to 3000 PSI up to 4.7 GPM.